Whilst there are many, many reasons that I refuse to do sport of any kind, number one being it’s really hard and number two being I don’t want to, I’ll admit I never considered the fact that my legs might turn into grot-looking tree-trunks covered in aged scrotum skin, one of them. Until now that is. 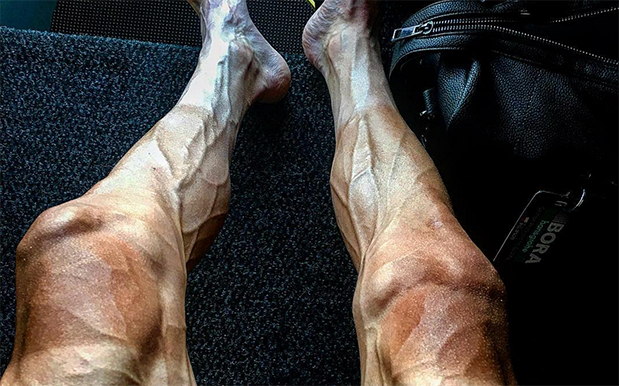 Behold the slightly vom-inducing results of being one of the people insane enough to take on the Tour De France, the cycling world’s foremost event which sees elite sportsman destroy themselves for 3500km, via this Instagrampost from Polish rider Pawel Poljanski. FUUUUAAAAAAAAARRRRRRRRRRRK. All aboard the Nope Train to Nopesville. Commenting how after 16 legs of the monstrous cycling course that his legs were looking “a little tired”, Poljanski seems to severely understate how cooked his lower half is. Look at the veiny, lycra-tanned, alien-looking pair of thousand year old baseball bats. I mean just wrap your eyes around what looks like the surface of a foreign planet, one constantly iberated by unfathomably vicious acid hurricanes. SIMPLY TRY TO TAKE IN these oversized chicken drumsticks cooked by a child with only a passing understanding of how kitchen equipment works. Ok, I’m done. This is rank and physical excercise should be banned. That is all.